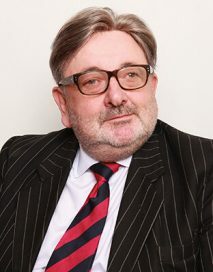 David practises mainly in employment and discrimination matters in which he acts for both Claimants and Respondents. He has advised both large and small employers as well as trade unions providing representation as well as initial advice. He regularly appears in Employment Tribunals nationwide including Scotland and the Employment Appeals Tribunal. David has also provided representation for individual employees in internal disciplinary proceedings. David has been certified by the Bar Council to accept instructions under the Direct Access to the Bar scheme and will happily offer advice in this respect if the circumstances of the case allow. Todd t/a Hygia Professional Training v Cutter Employment Appeal Tribunal 13 7 : Appeal by Respondent based on an application for fresh evidence, which was clearly material and credible, but which did not satisfy the third leg of the Ladd v Marshall test of not being available for the hearing(s) below by the exercise of reasonable diligence.